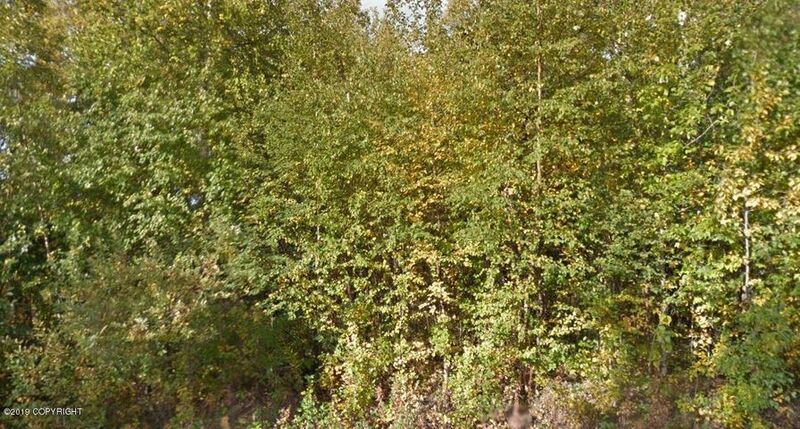 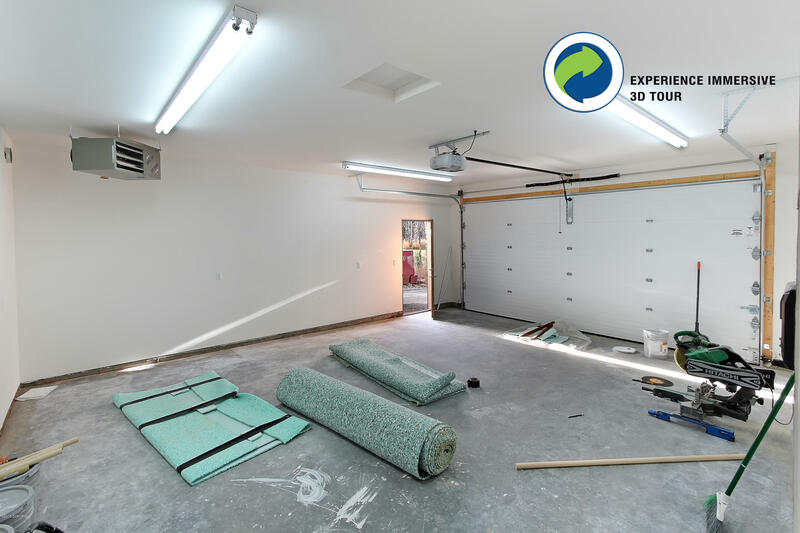 3D Immersive Virtual Tour available under the photo tab then virtual tour. 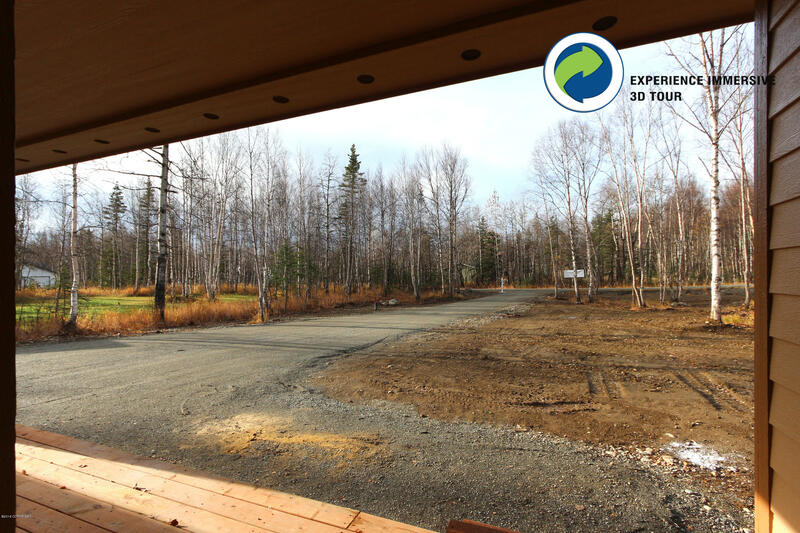 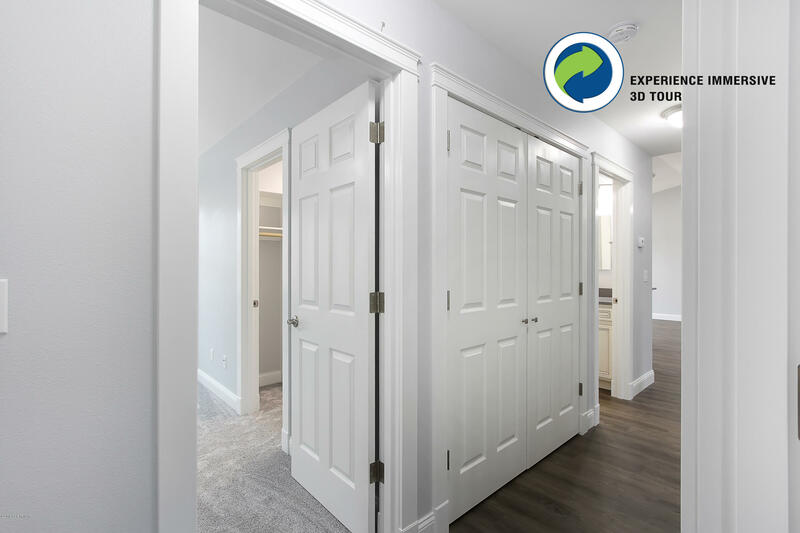 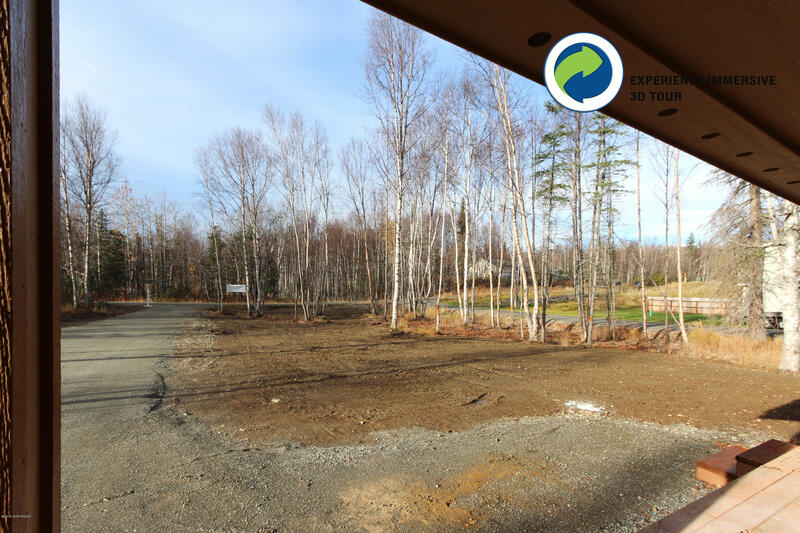 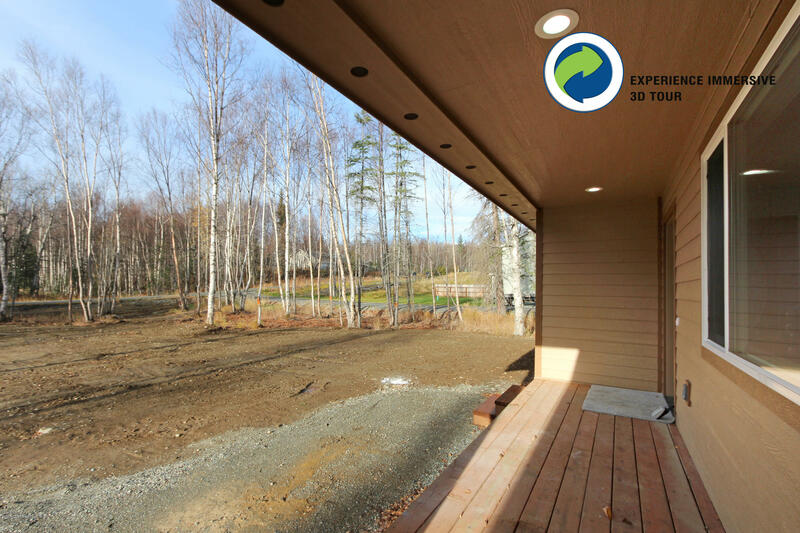 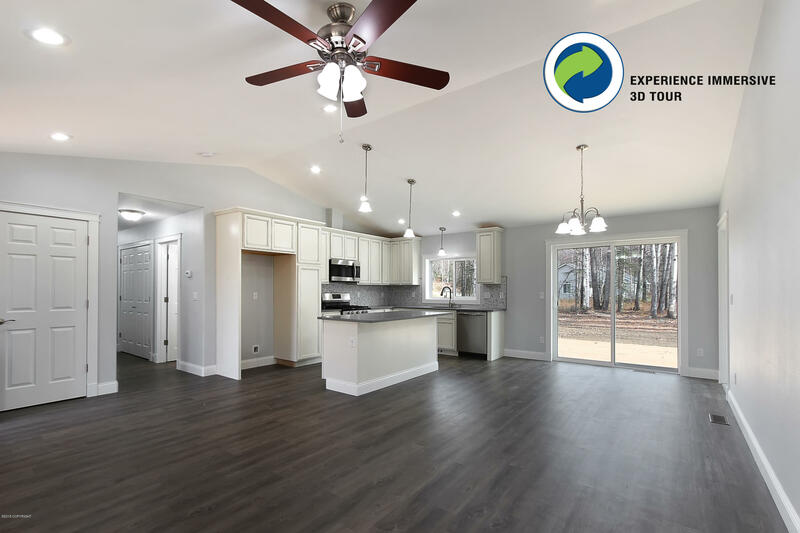 Take a VR Tour before you even to step inside to see the layout! 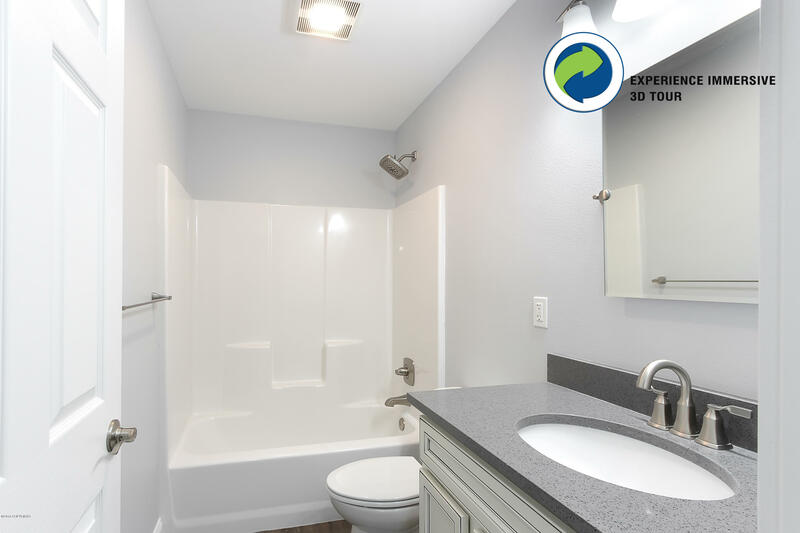 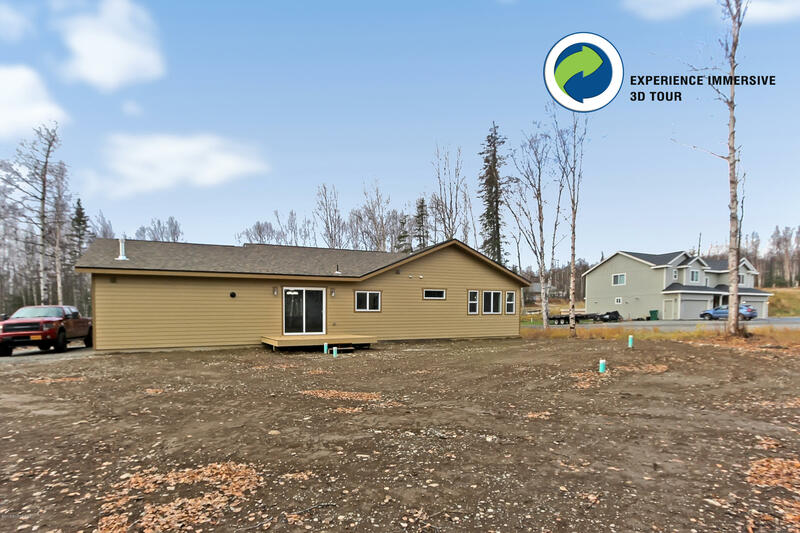 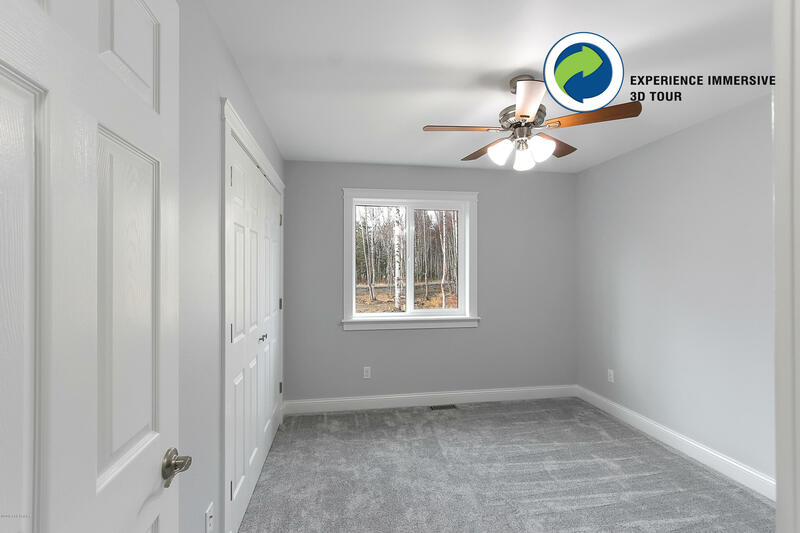 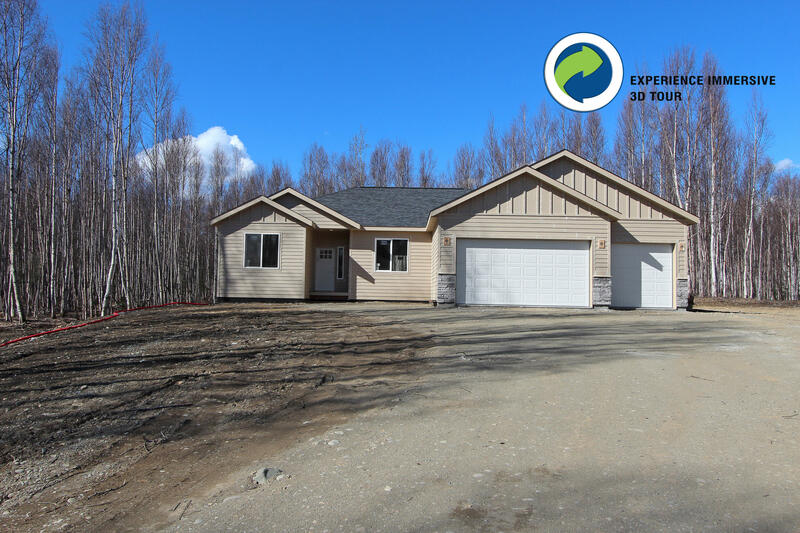 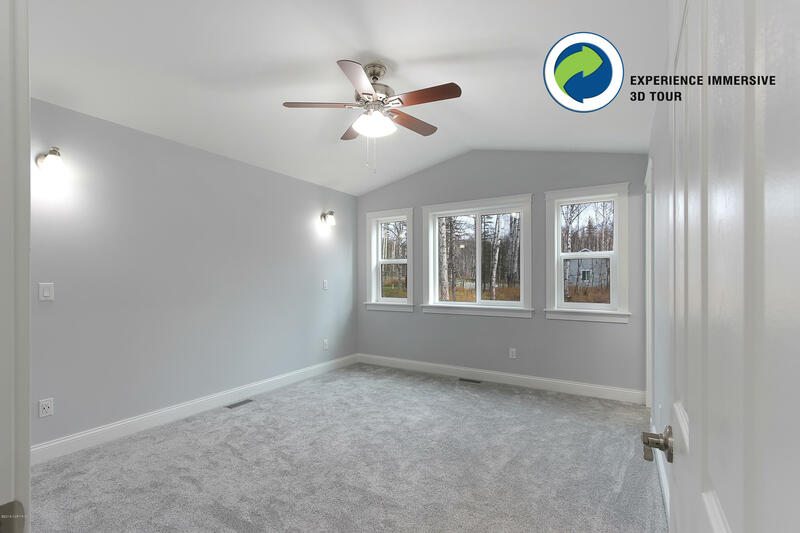 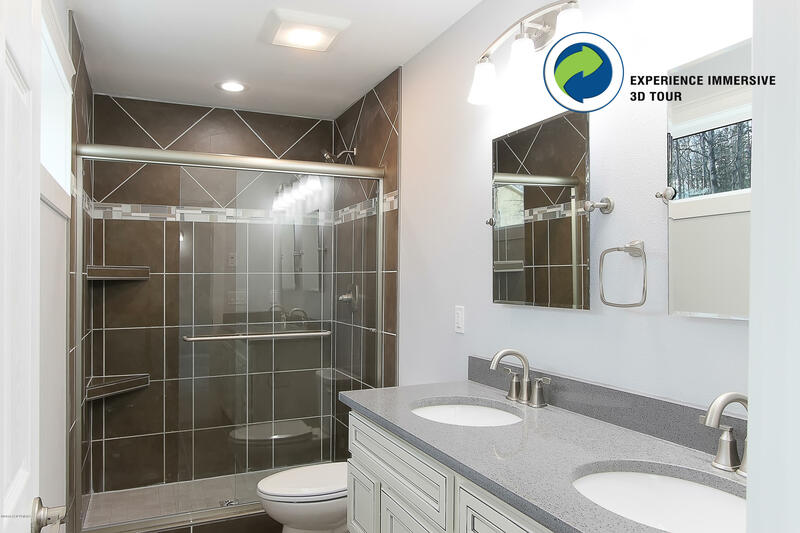 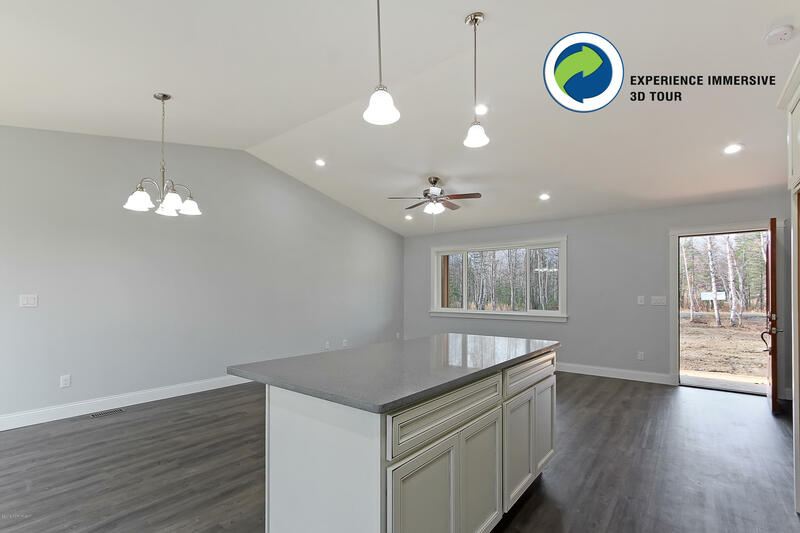 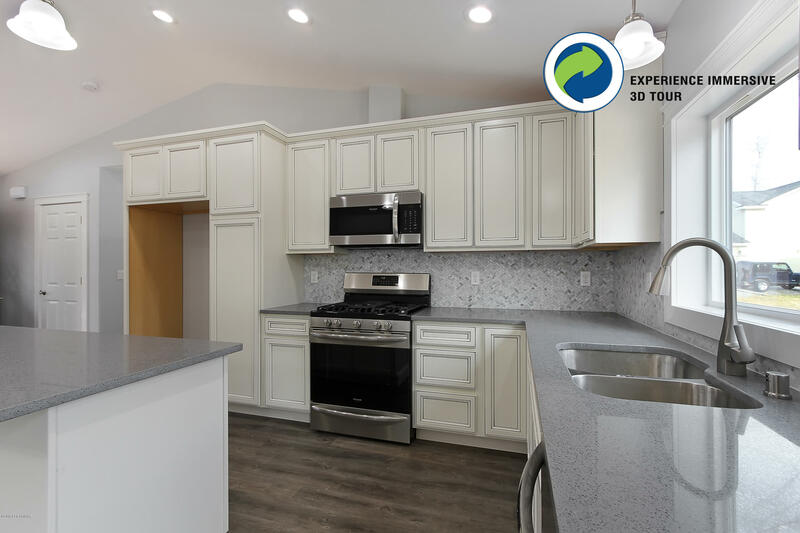 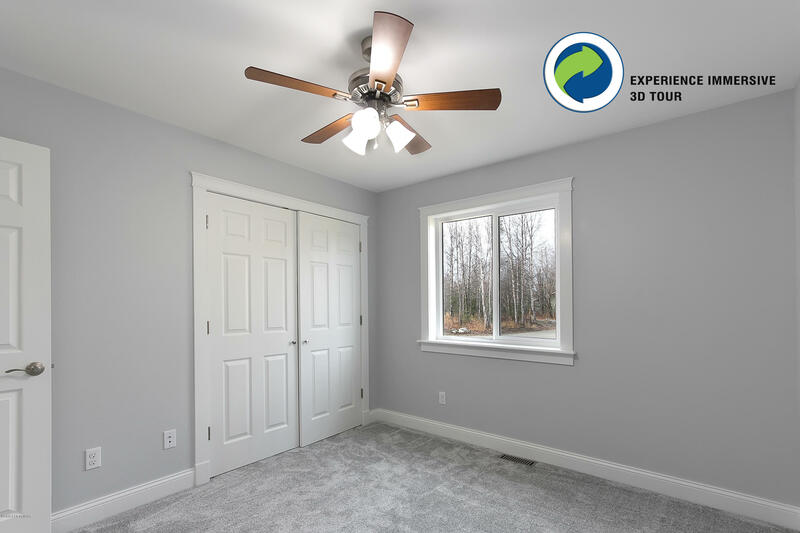 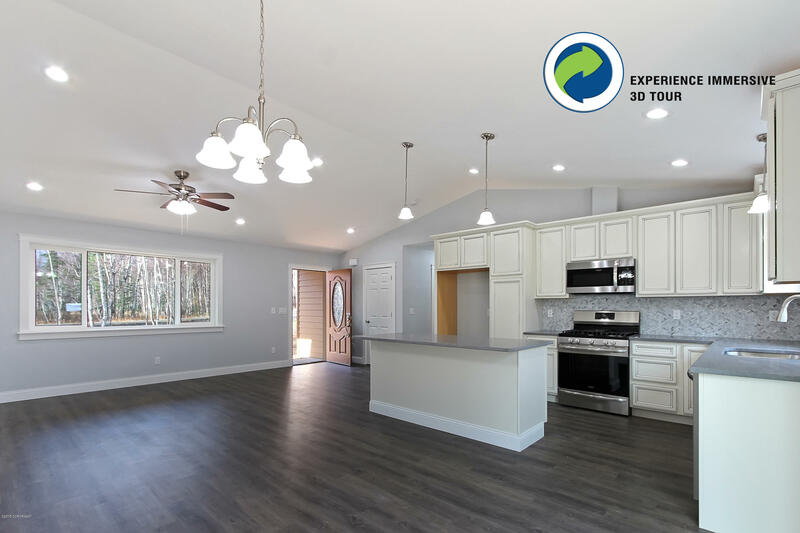 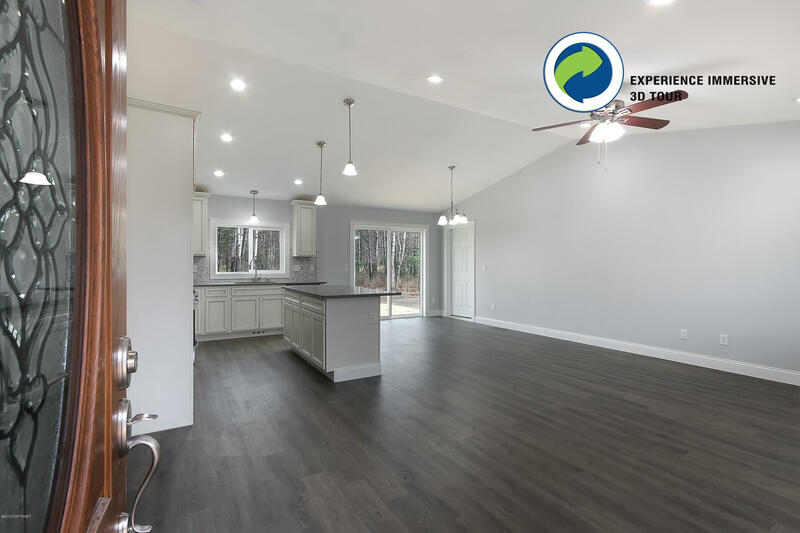 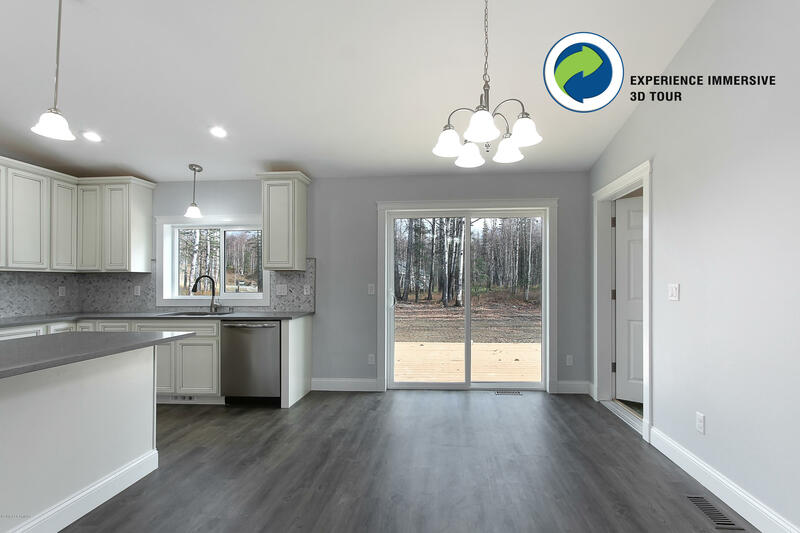 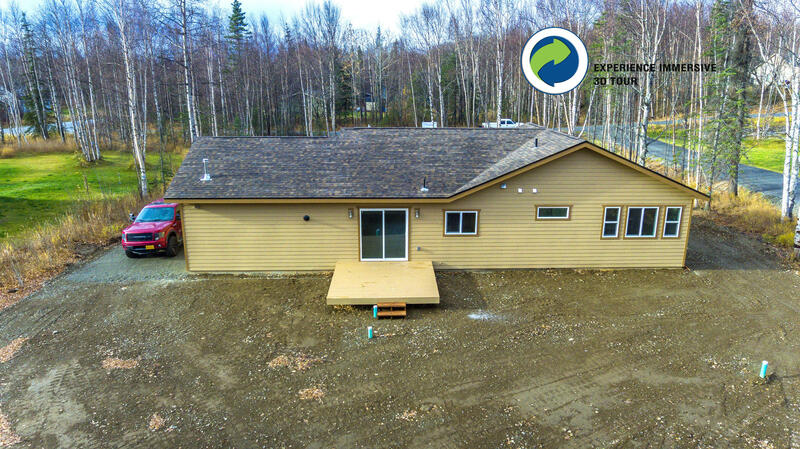 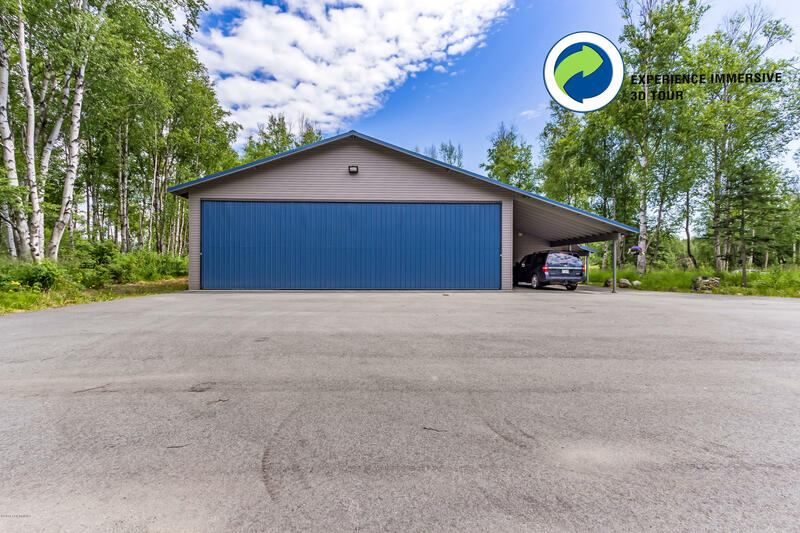 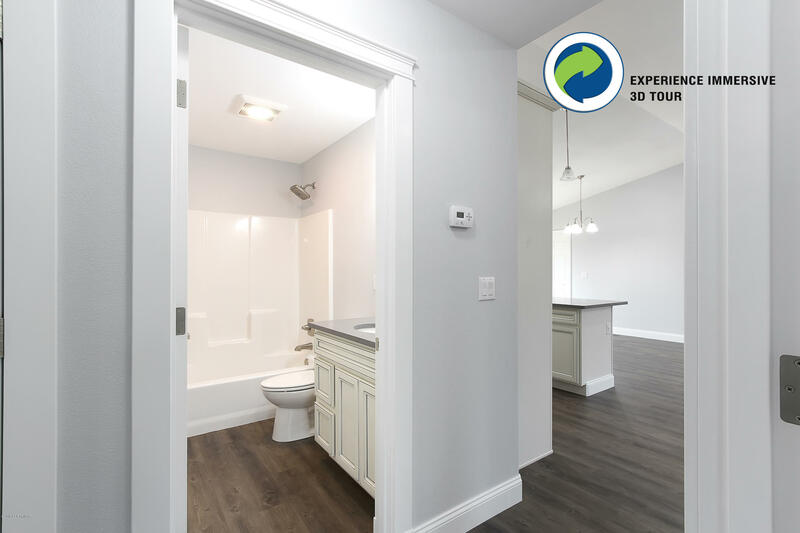 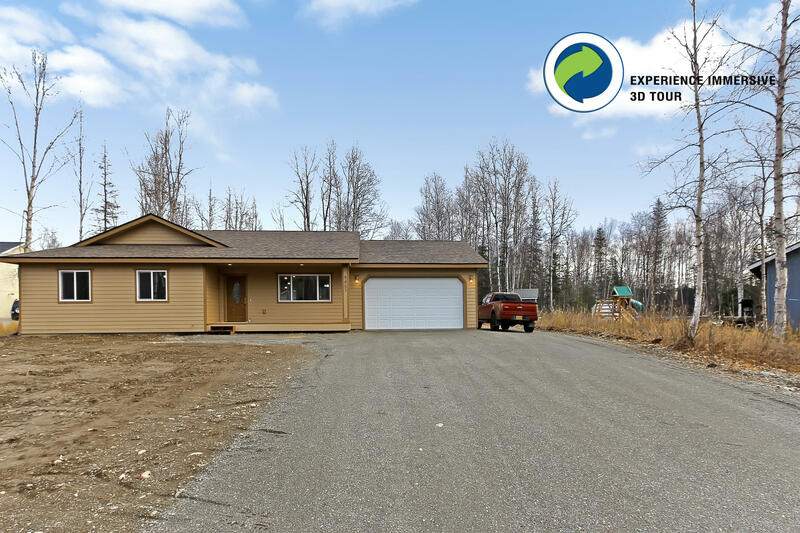 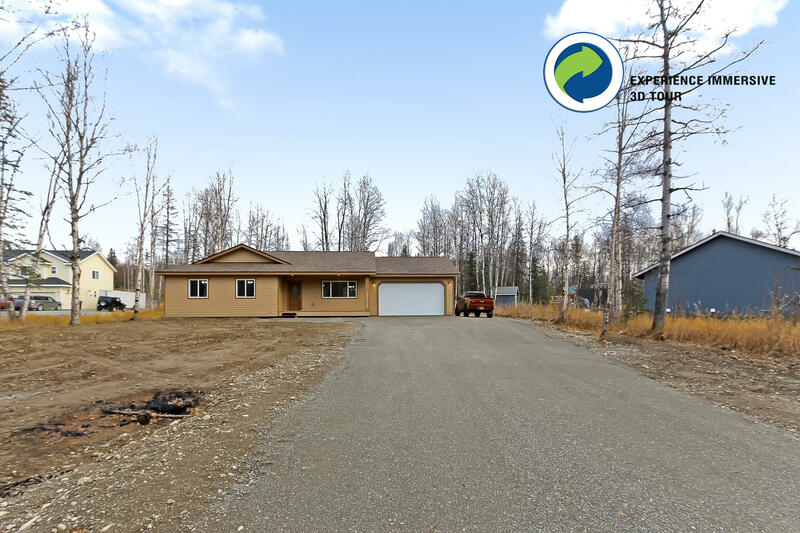 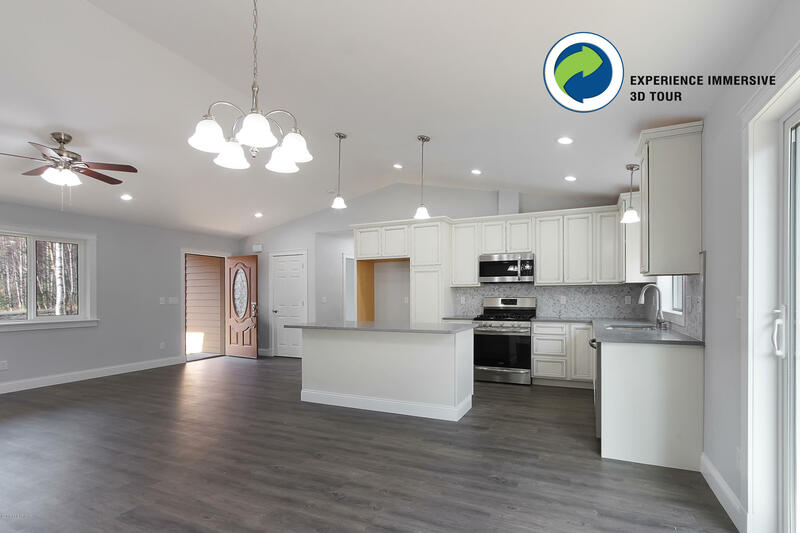 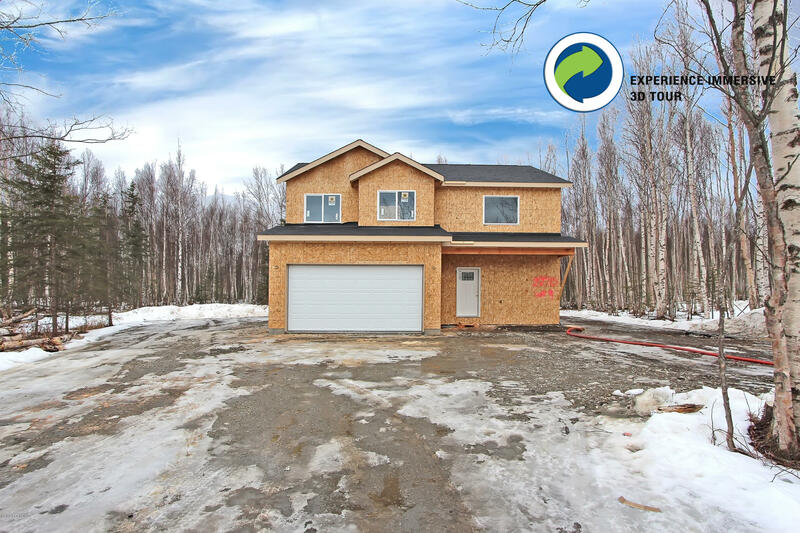 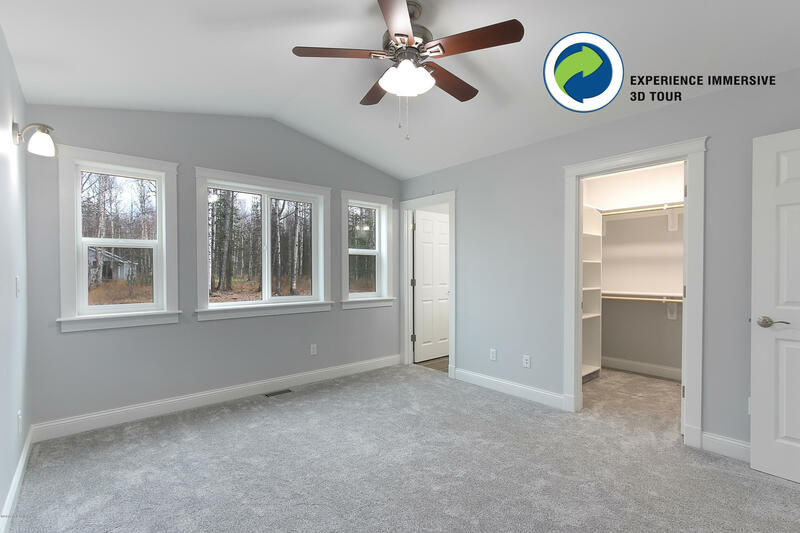 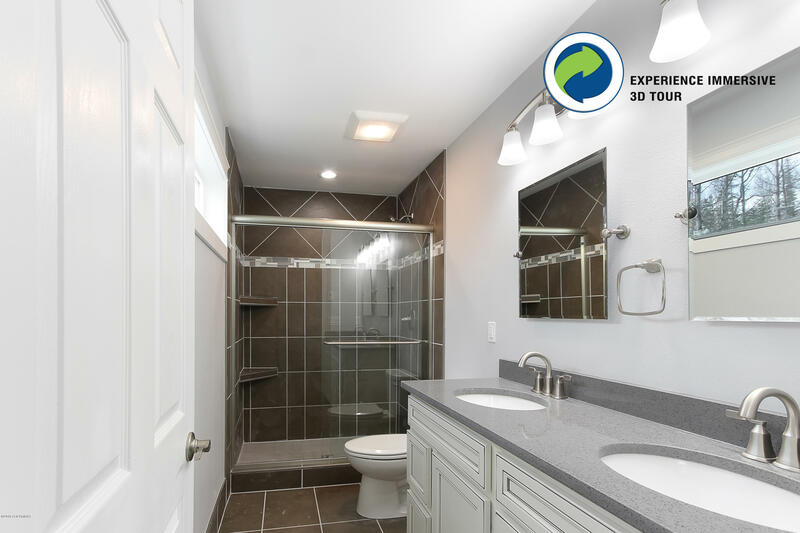 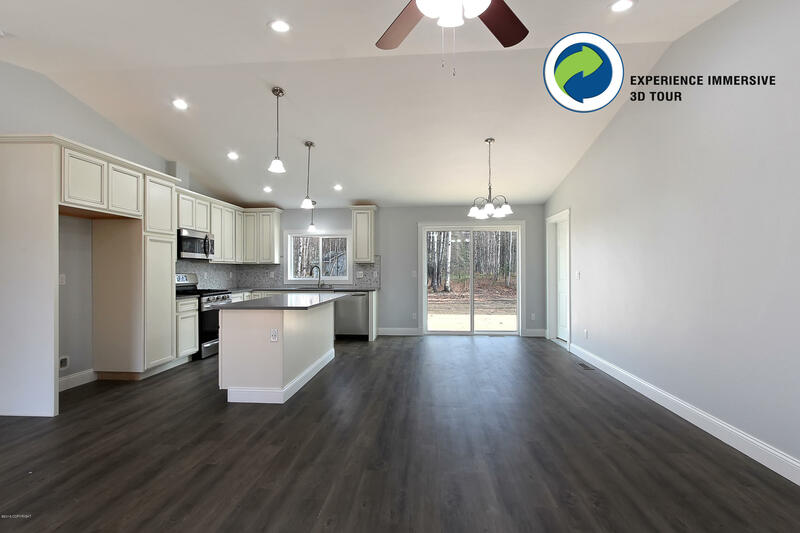 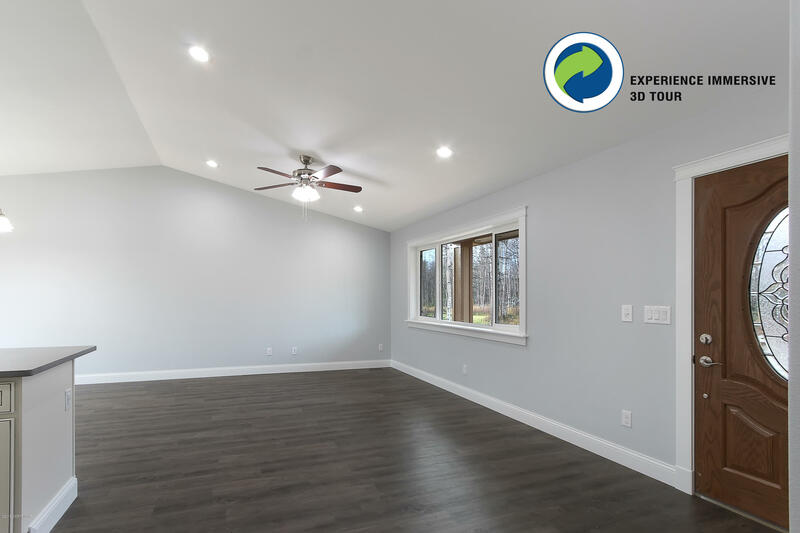 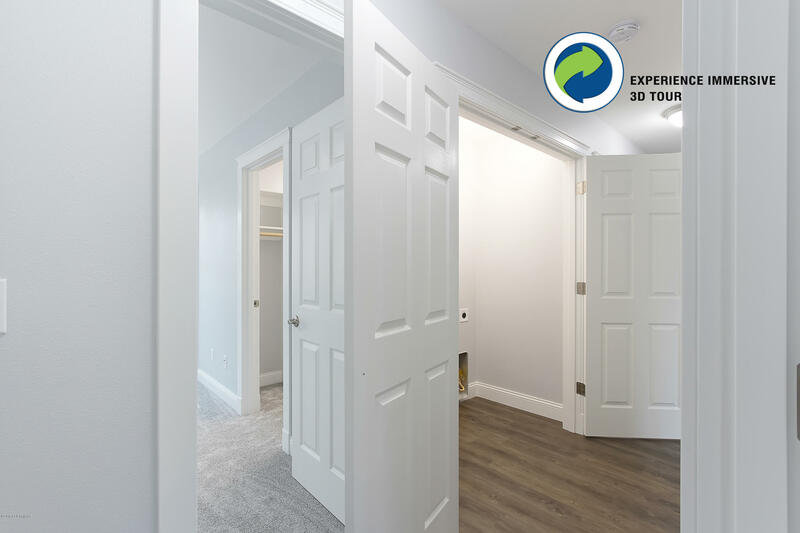 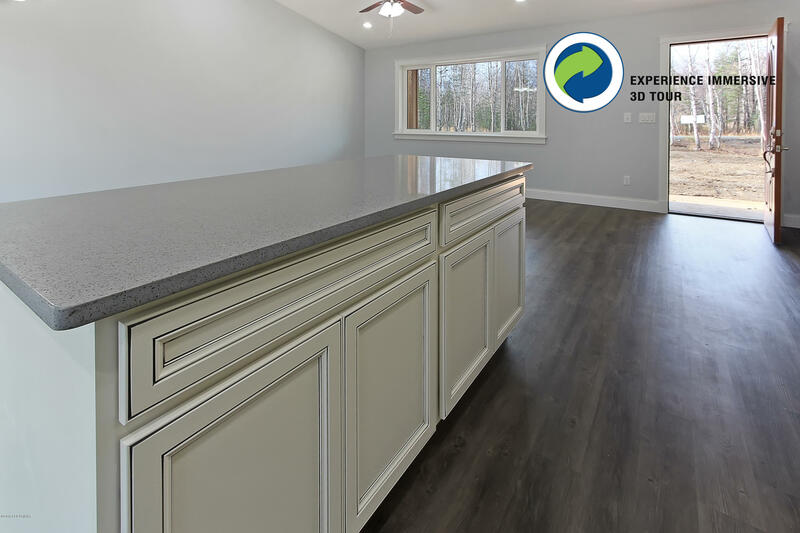 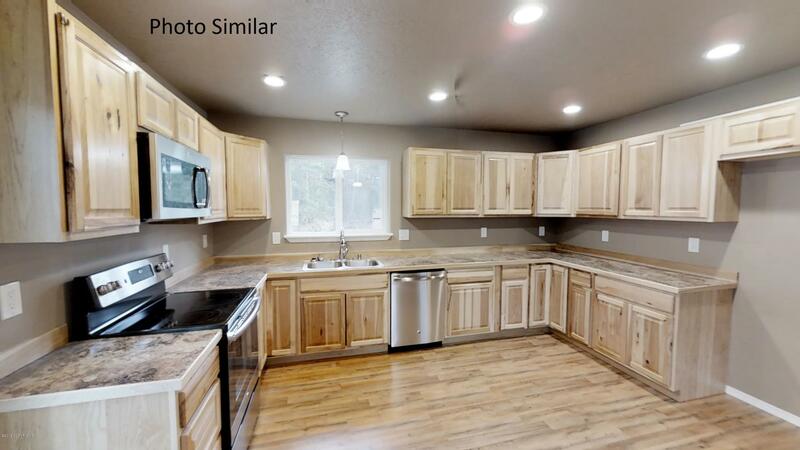 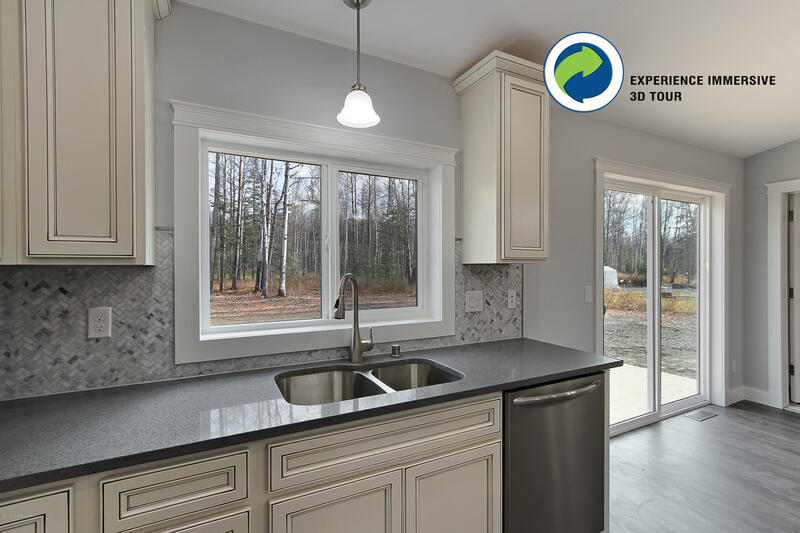 Just completed new construction home with vaulted ceilings, open design main living area, quartz counters in the kitchen and baths, upgraded cabinetry with soft close, fully cased windows and doors, high quality carpet with lifetime stain resistance warranty. 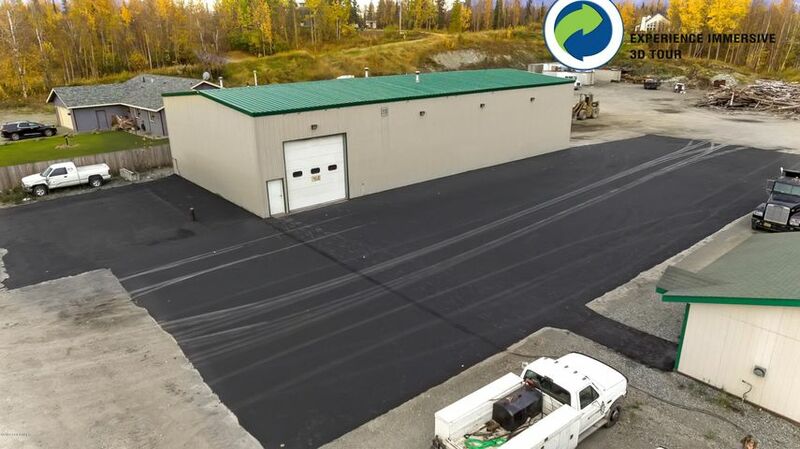 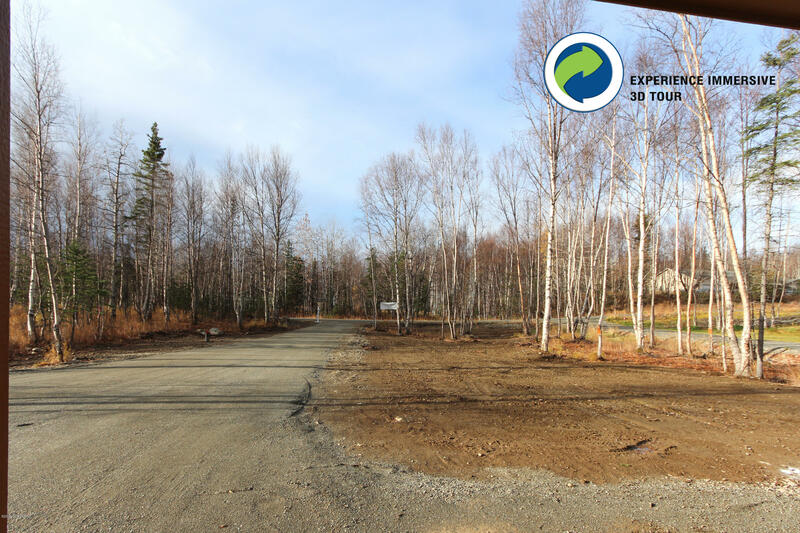 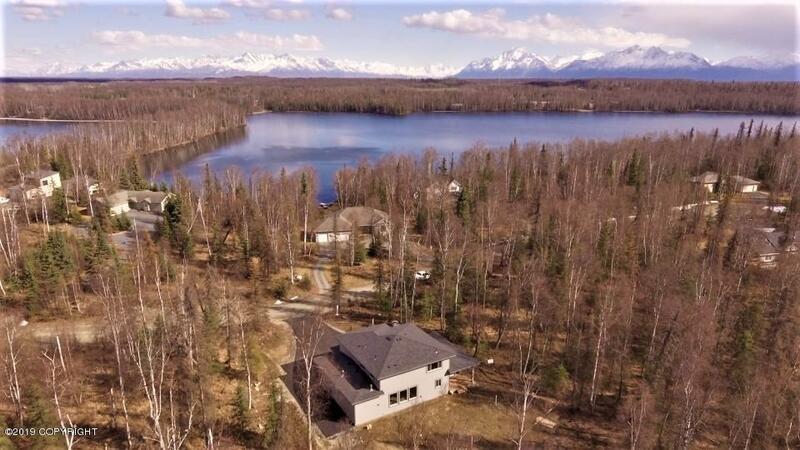 Directions: Parks Hwy to Main St in Wasilla, continue on Wasilla Fishhook (Main turns into Wasilla Fishhook) to mile 6.6 then take a R onto N Watana. 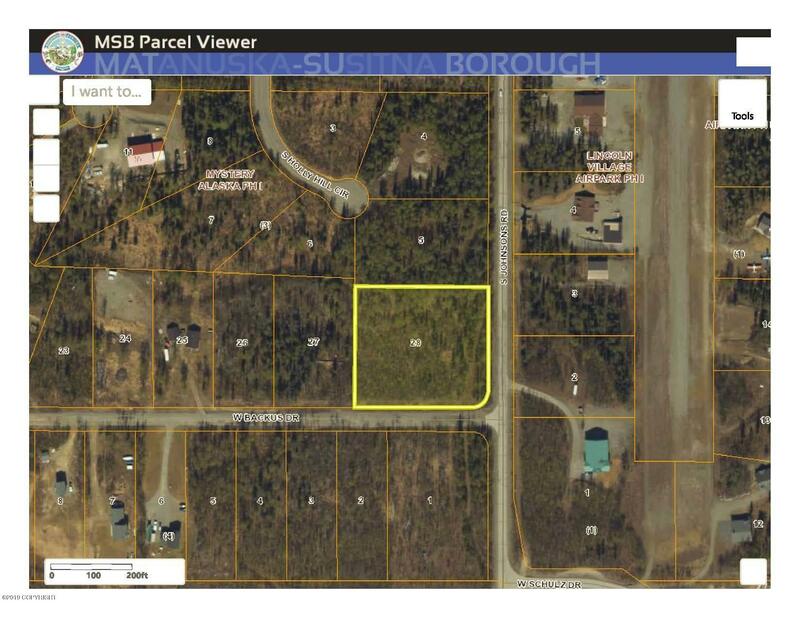 Home on the L. OR see directions from Trunk Rd in supplement. 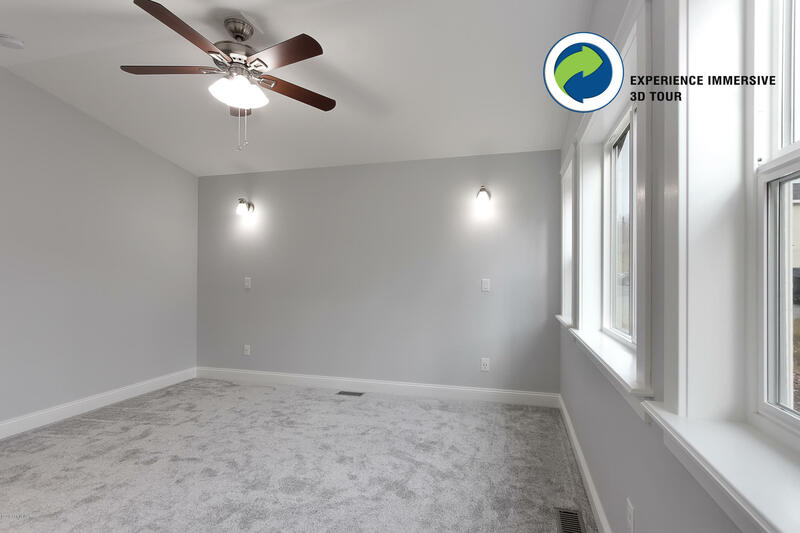 There is even 10# padding for an even more luxurious feel on the carpet.The other flooring is LVP for easy clean up and it has a softer surface than tile. 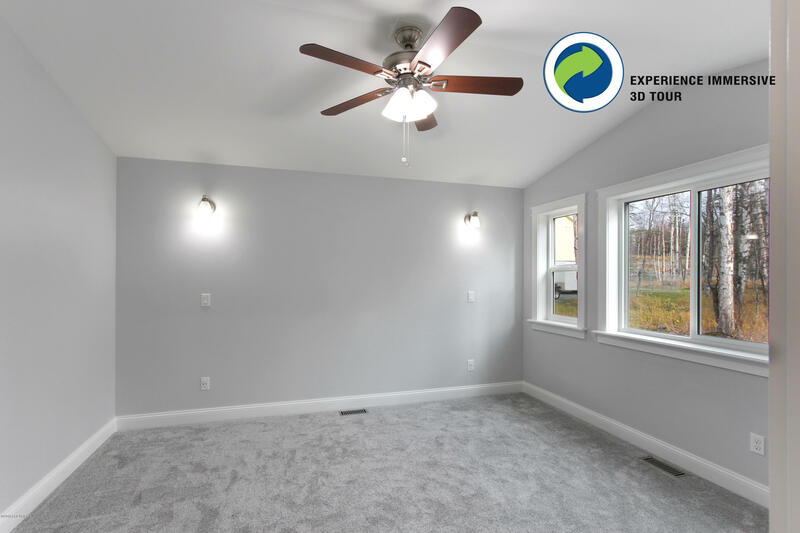 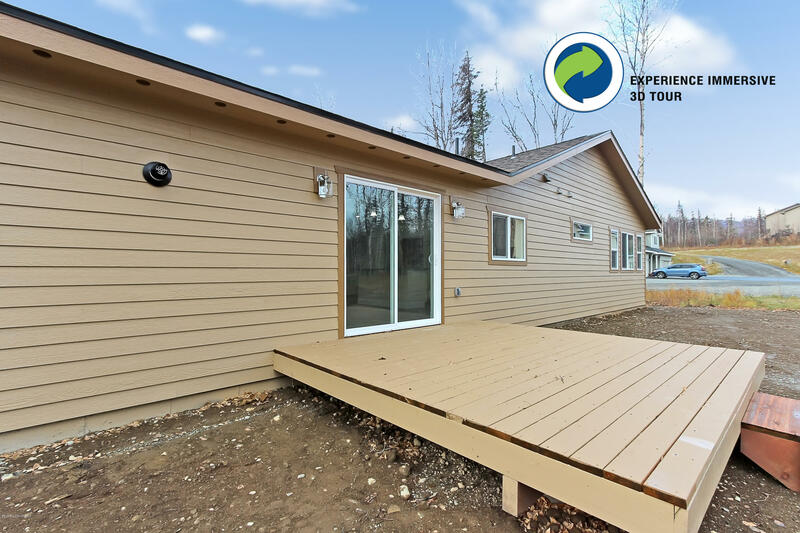 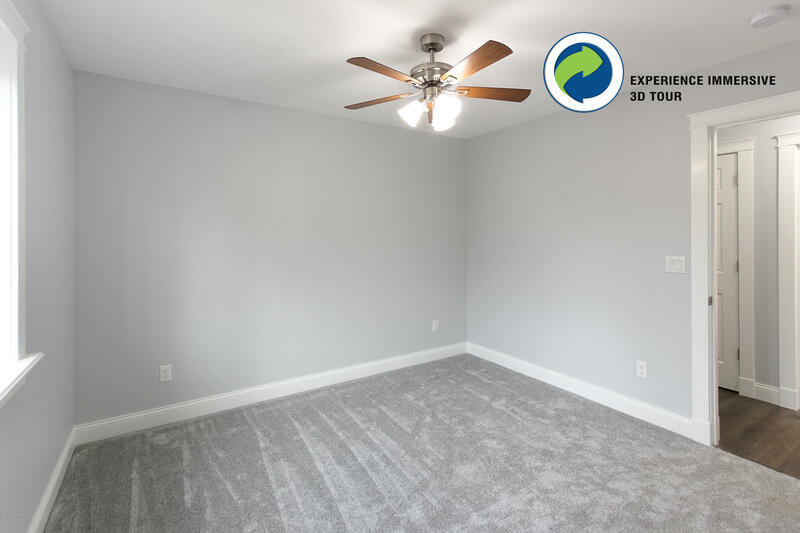 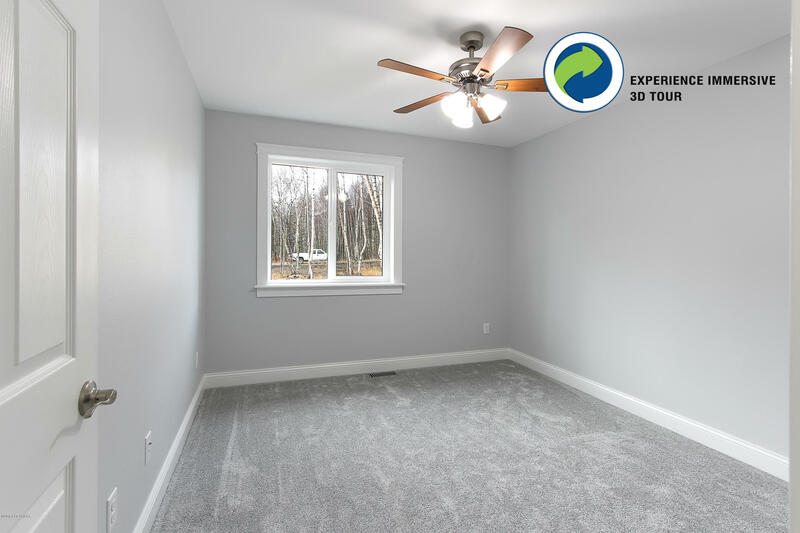 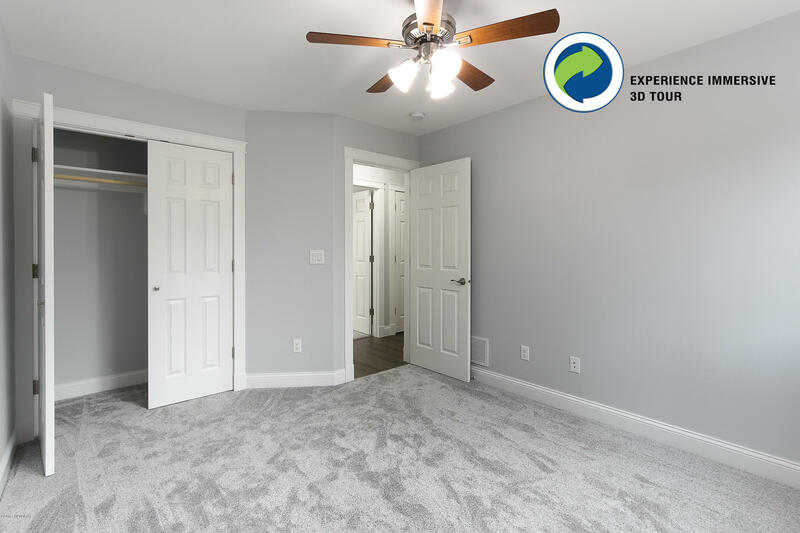 It is also, just like the carpet with its stain resistance warranty, forgiving with spills.The rear deck is larger than you expect on a new construction home also. 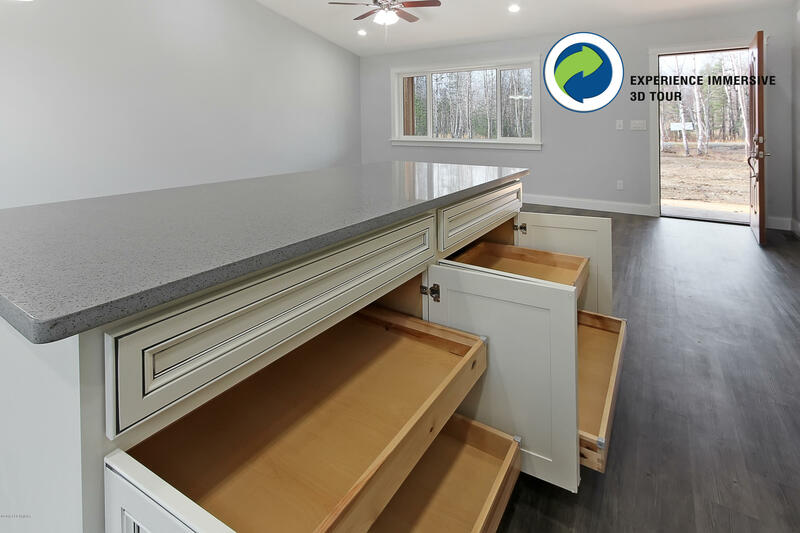 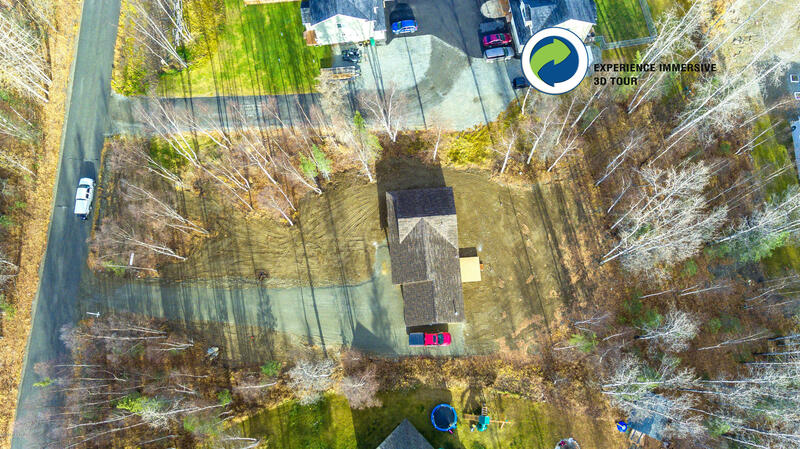 There is plenty of room for deck chairs and that BBQ!Some other features you may not have noticed are the pullout drawers and the large kitchen island. 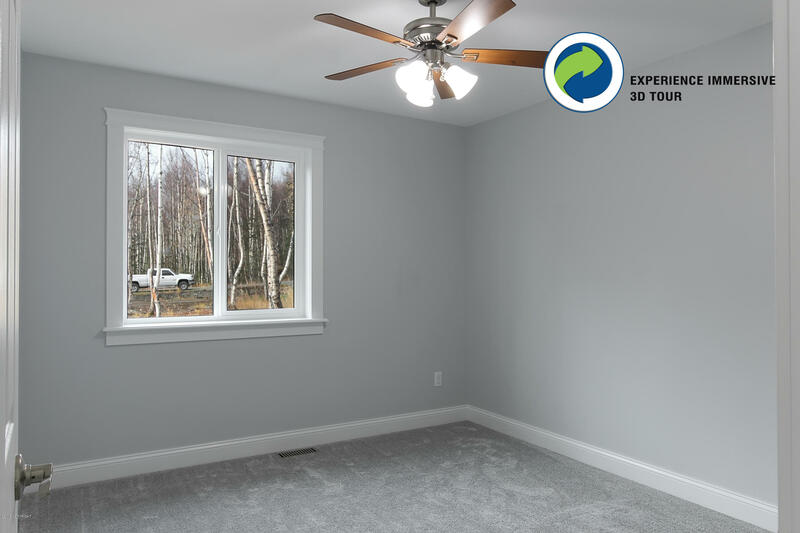 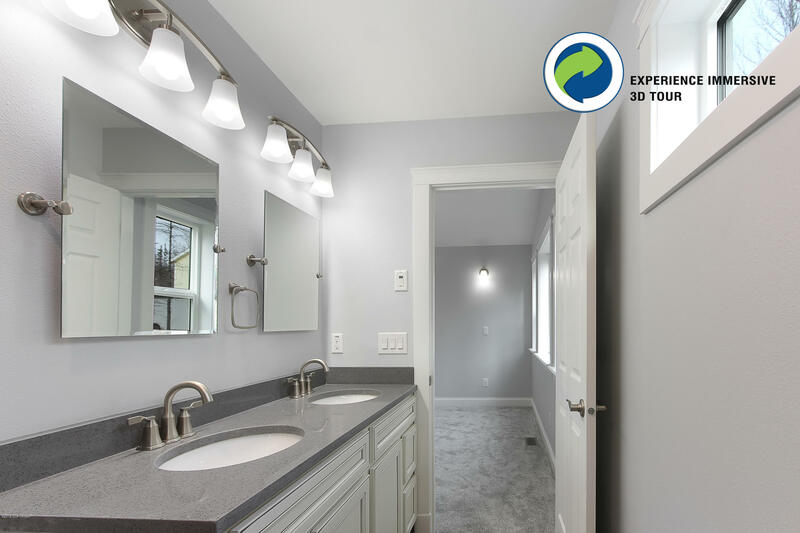 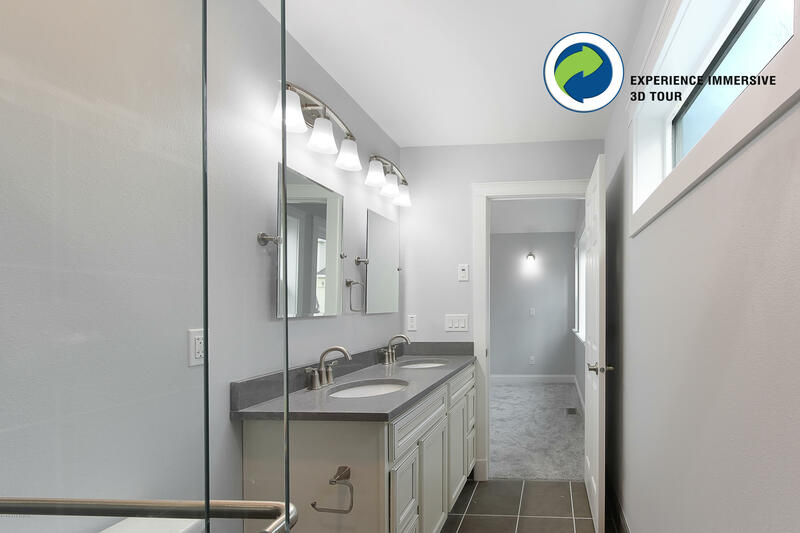 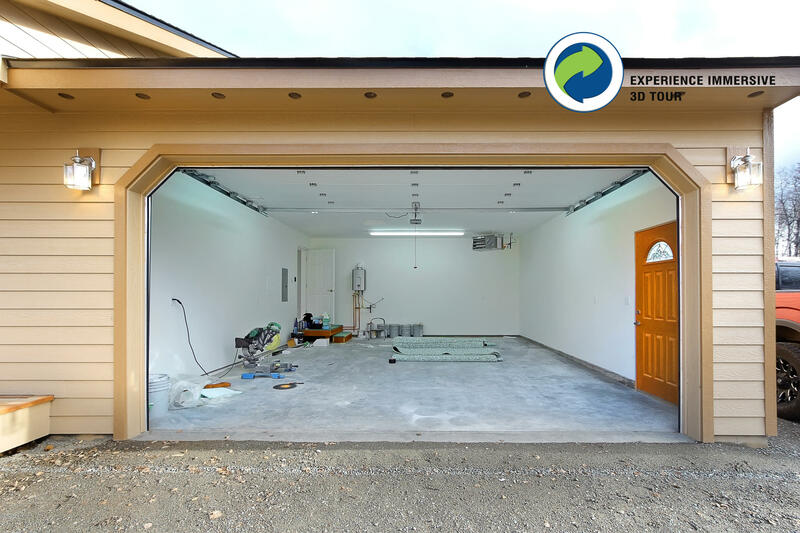 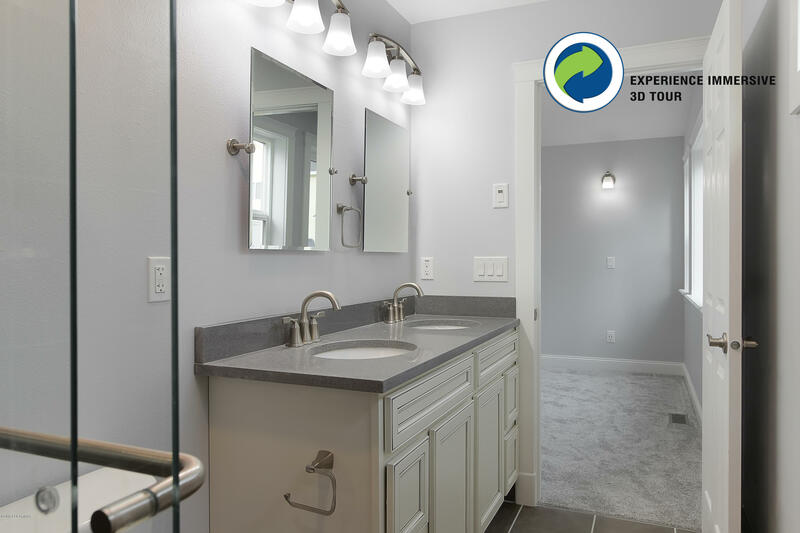 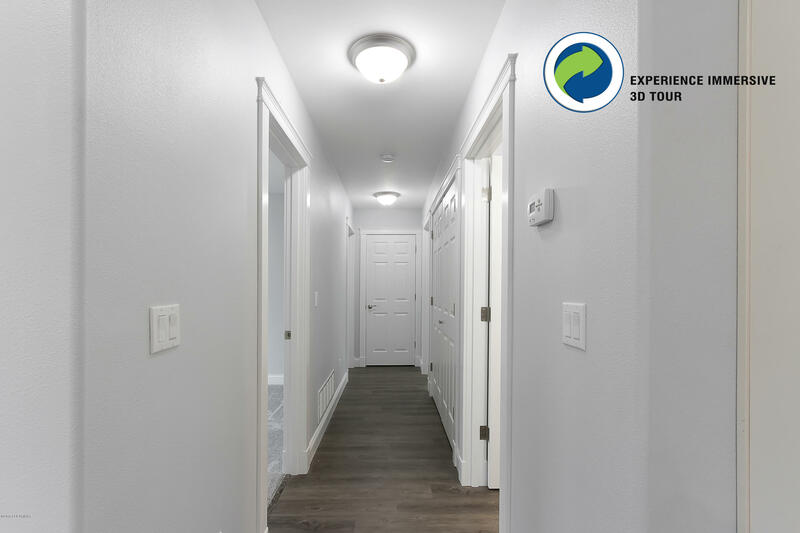 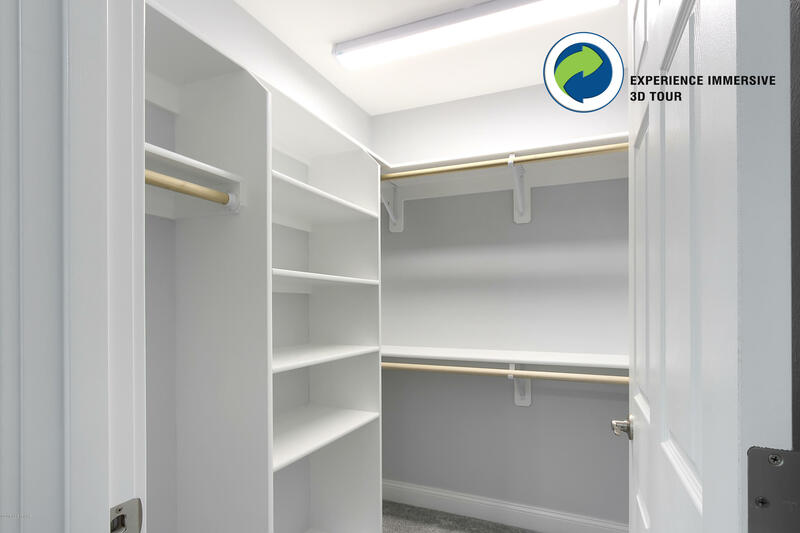 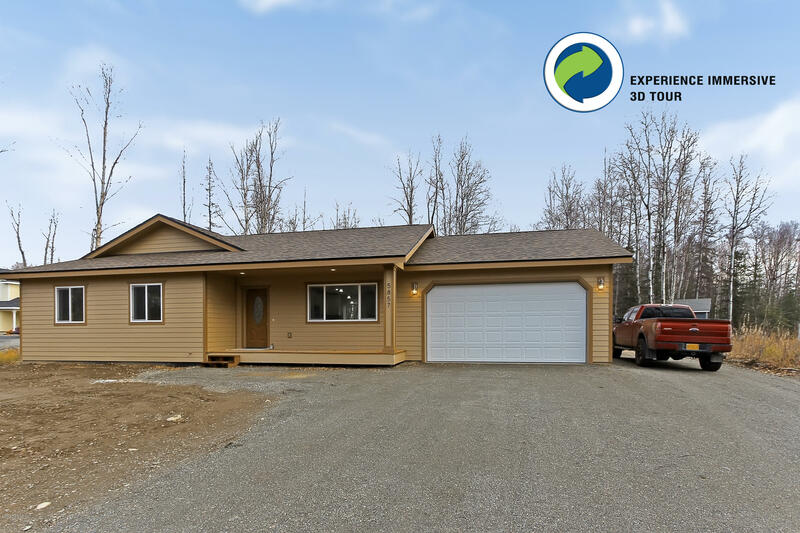 Lighting is important in Alaska so the builder installed both recessed lighting and pendant lighting.Did you notice the upgraded Frigidaire appliances? 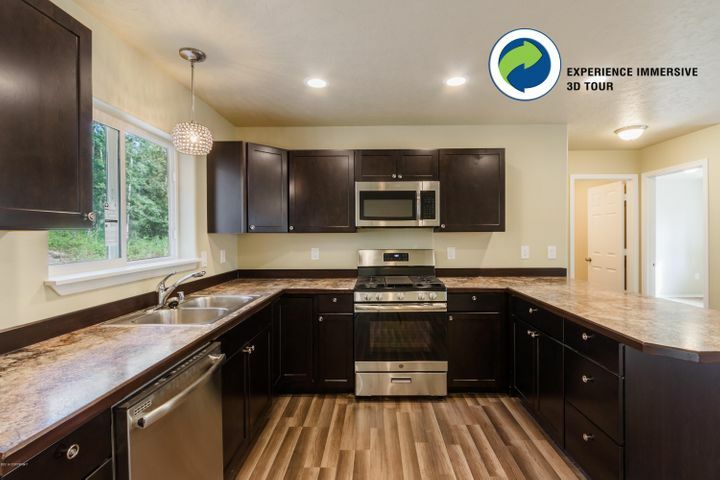 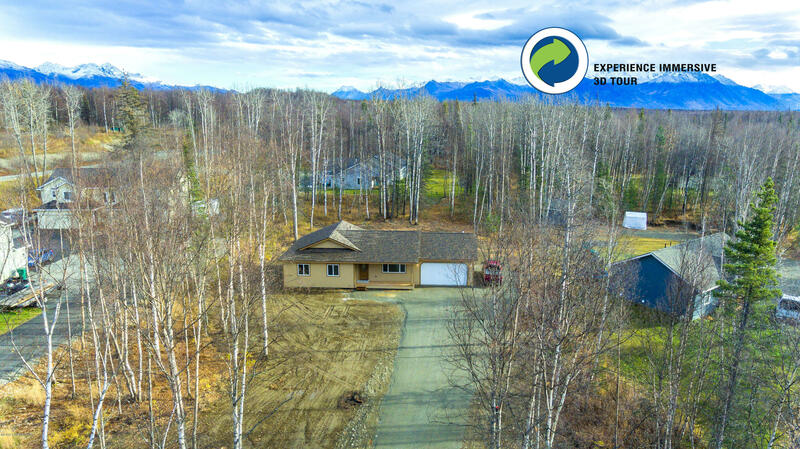 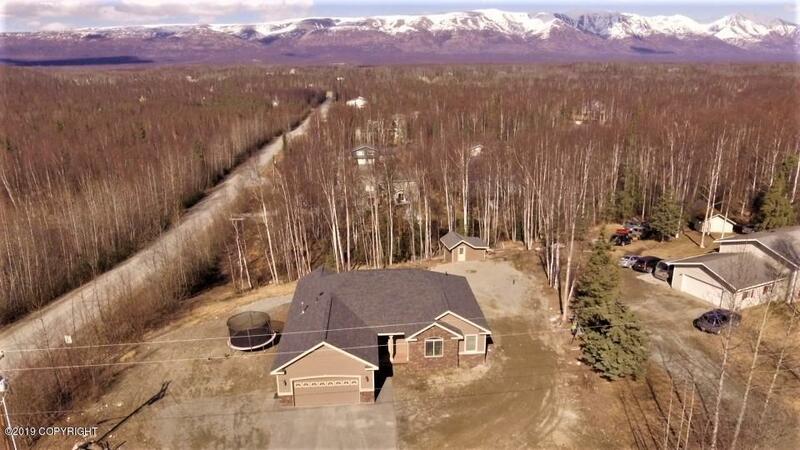 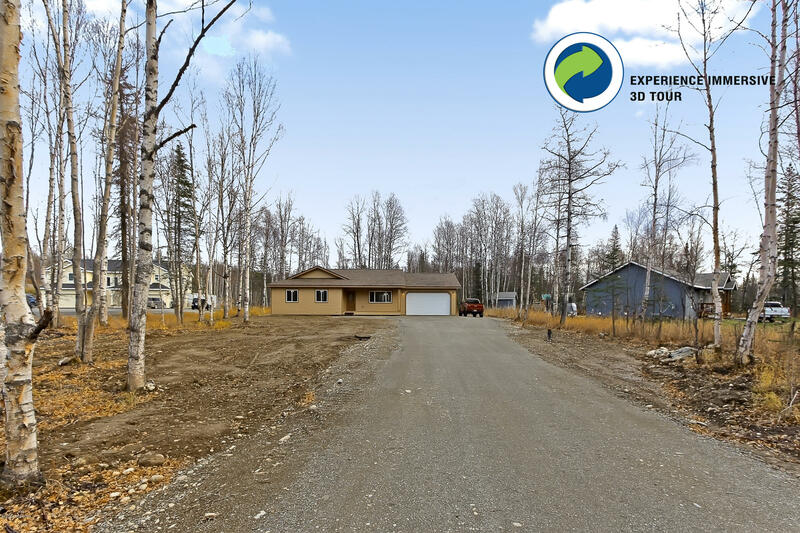 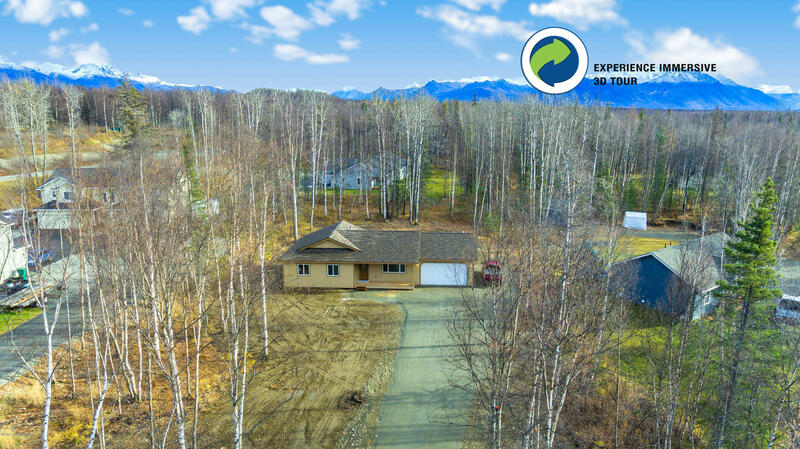 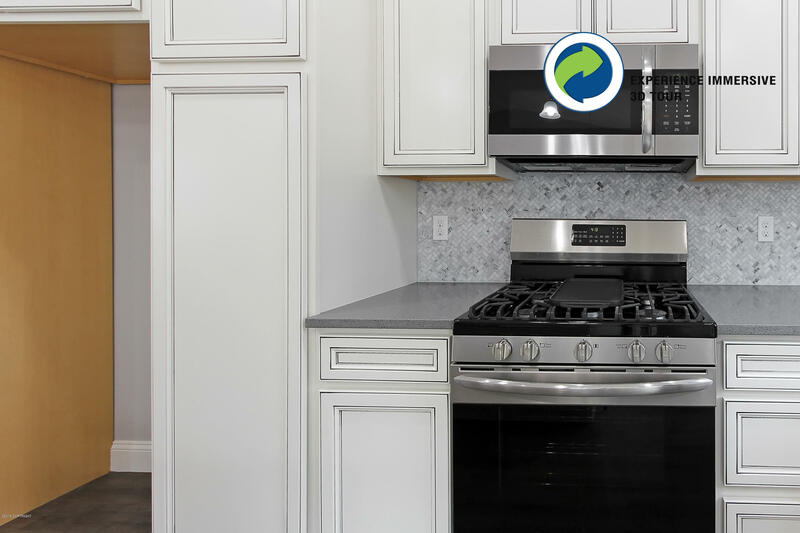 Take a look at the griddle feature on the stove.No CCR's found with property profile.Alternate directions from Trunk Rd are to take Engstrom Rd, then L on Hart Lake, L on Rutan, L on Frost, L on Pamela, R on Westfork, R on Talgach View, L on Watana. Home on the Right.